Fashion accessories are not what they use to be. If you pop a bracelet, ring, and a necklace on, you should be good to go, right? Wrong! Don't forget your ears! 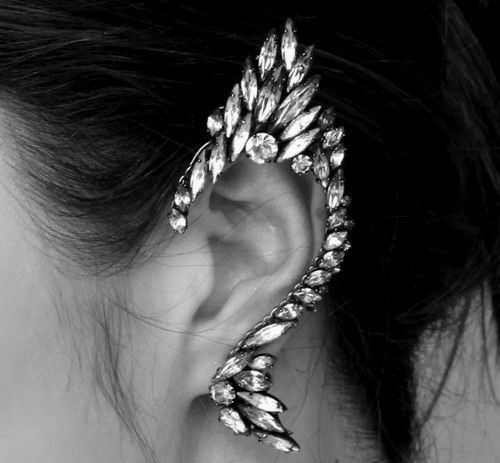 Yup, ear accessories are now a new niche in the market of accessories and there are some amazing styles that I won't mind trying. Stars like Fergie, Rihanna, Jordin Sparks, Pink, and Miley Cyrus have all embraced this fashion statement. 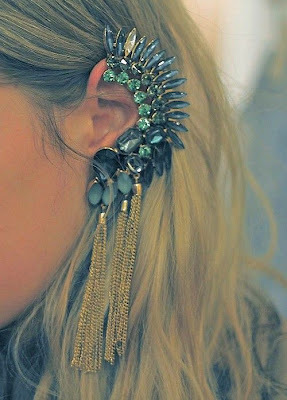 Check out these haute bejeweled ears! Would you don some ear cuffs? Let me know! 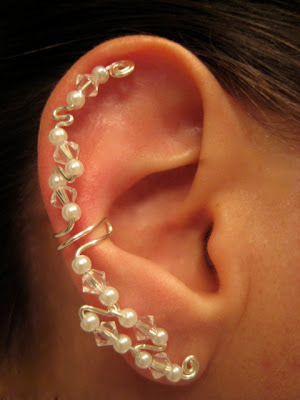 I love this trend -- def something I want to try. Loving it, it would love great on you Melissa!